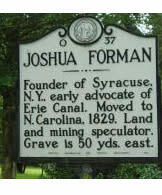 JOSHUA FORMAN - Founder of Syracuse N.Y., early advocate of Erie Canal. Moved to N. Carolina 1829. 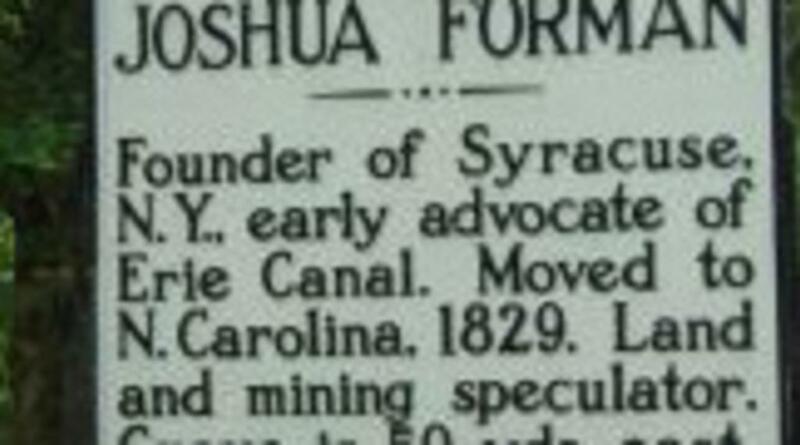 Land and mining speculator. Grave is 50 yds. east.